Do you know your Flat white from your Latte? Ever wondered how to make the perfect coffee? Or just a coffee fan and want to learn more? 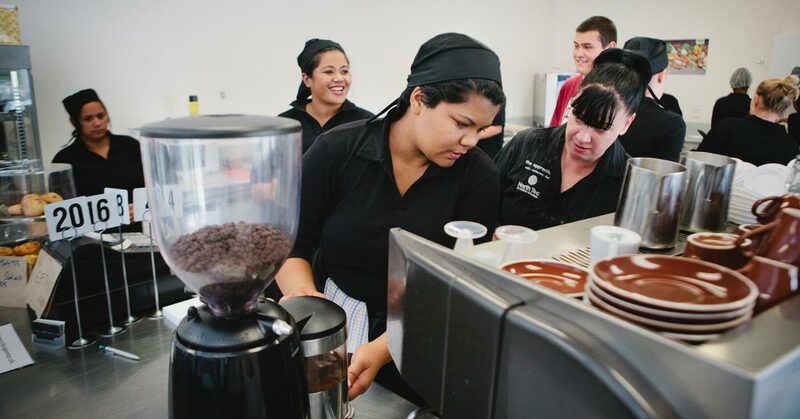 Our Barista skills course will provide you with the know how to set you on the path to becoming a coffee expert, and provide you with useful skills for future careers from working in a café on weekends to being a barista full time. If you want to work in the café scene then this qualification will help you. Concentrating on skills and techniques of the barista. Closed toe shoes and full length trousers are to be worn to ensure health and safety requirements are met. I am a fully qualified chef, having trained at Waikato Polytechnic. With 25 years experience as a chef, Noel loves getting students passionate about cooking. Watching the students 'grow' over the year is amazing. I love it and couldn't think of many other places I'd rather be. I am a chef tutor teaching Level 3 cookery and have been with NorthTec for a few years now.